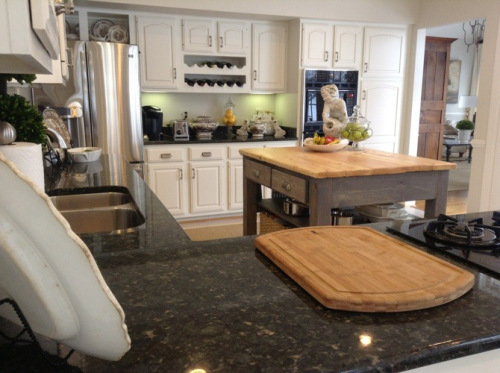 Welcome to Show Off and Inspire where I get to brag about some of the fabulous rooms and projects found on some of the most interesting blogs in all of blogland. Today we are going to feature Nubury Lane. 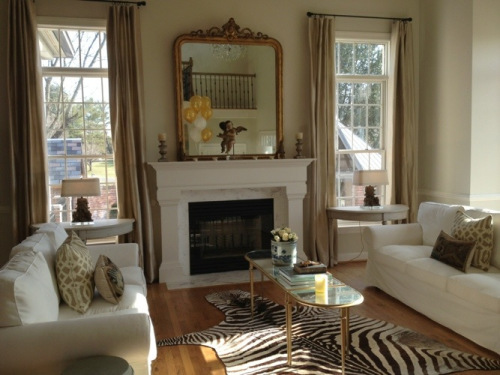 Isn't this a gorgeous living room, simple slipcovered sofas, a fabulous frenchy mirror, and the Zebra rug is to die for. Fantastic. I love her kitchen eating area, isn't that chandy fabulous too. You really have to see how they transformed this kitchen with paint, you won't believe the before and after. This is a recent addition to her kitchen. Her DH built this Island to replace a temporary table she was using. The bottom shelves hold some gorgeous copper pots and several baskets for extra storage. 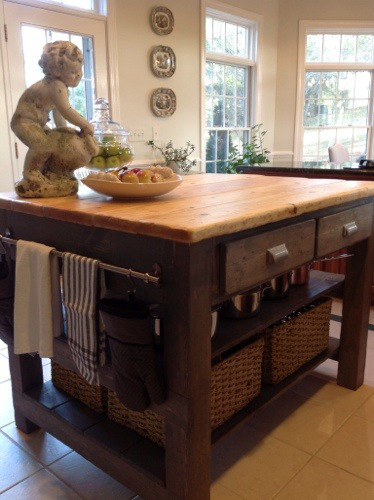 Love it's rustic style, looks like it came straight out of a french kitchen. You might have seen her home on TV before, Season 3 of Rate My Space. Be sure to stop by and see the rest of her home, there is so much inspiration in every room. Thanks tons for letting me brag on you today Heidi, I really love your style. If you would like to be featured on Show Off and Inspire, just give me an email. Be sure to check back tomorrow, I have the most amazing Frenchy/Farmhouse giveaway. If you aren't a follower, I would love for you to follow me and I will follow back. Just lovely - going over to visit! I've always loved her style ... their new home is incredible! A great feature indeed, Marty! 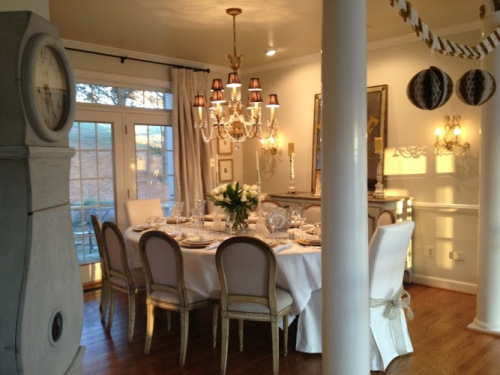 What a beautiful home!Love her dining room! And that gorgeous Swedish clock! What a lovely home, Marty! Thanks so much for sharing! A truly gorgeous home Marty! Thank you for sharing this with us! Happy weekend! Gorgeous! Everything is simply gorgeous! Thanks for sharing dear Marty..I'm over there now!! 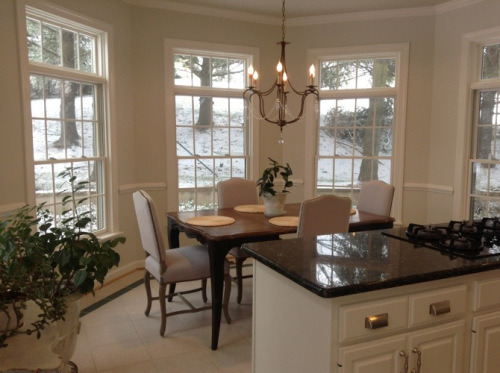 Lovely Traditional Home with a fabulous blend of French Country!!! Absolutely fab!!!! LOVE the island, her hubby did a wonderful job. Thanks for sharing!